1955: The Blue Kats come together consisting of students from Robbinsdale Junior High School. 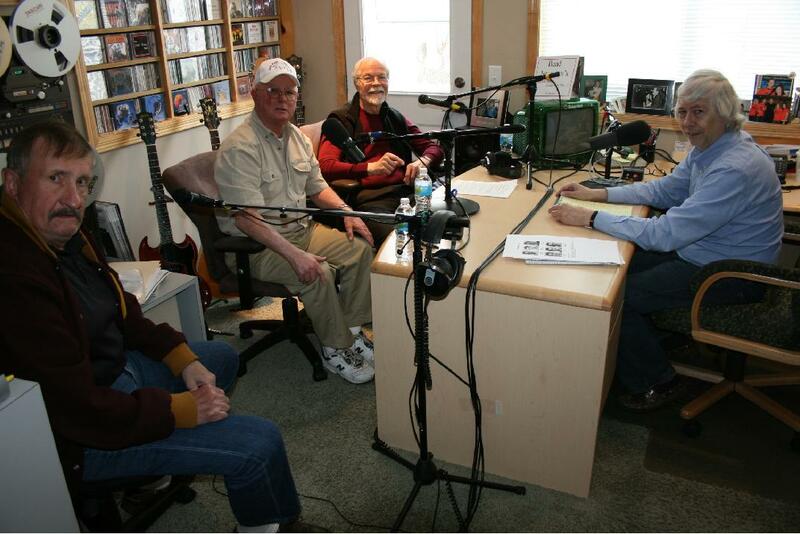 The original lineup is: Bob Ruth on piano; Bob Elster on Alto and Tenor Saxophone; Doug (“Buzz”) Fredin on Baritone and Tenor Saxophone; Gary Hand on string bass; and George Seibert on drums. The band plays instrumental versions of songs that are mainly from the big band era. The group learns to play the songs from sheet music with band leader Bob Ruth working out the arrangements. 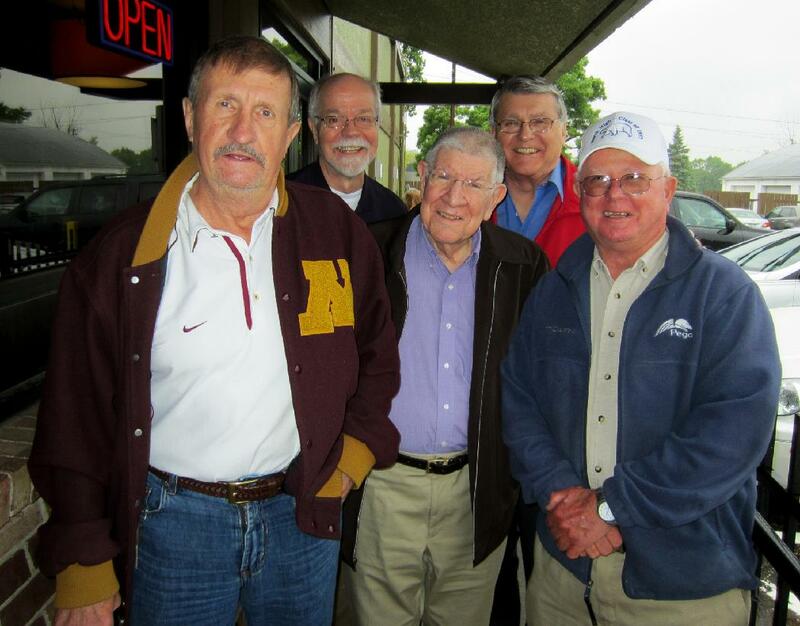 Among the songs is “Red Sails in the Sunset.” The group performs for school dances and also plays at the Pizza Parlor in Hopkins and in St. Louis Park. In addition, the band plays at the Robbinsdale Community Center located on the second floor of the police/fire station where teen dances are held on the weekends. 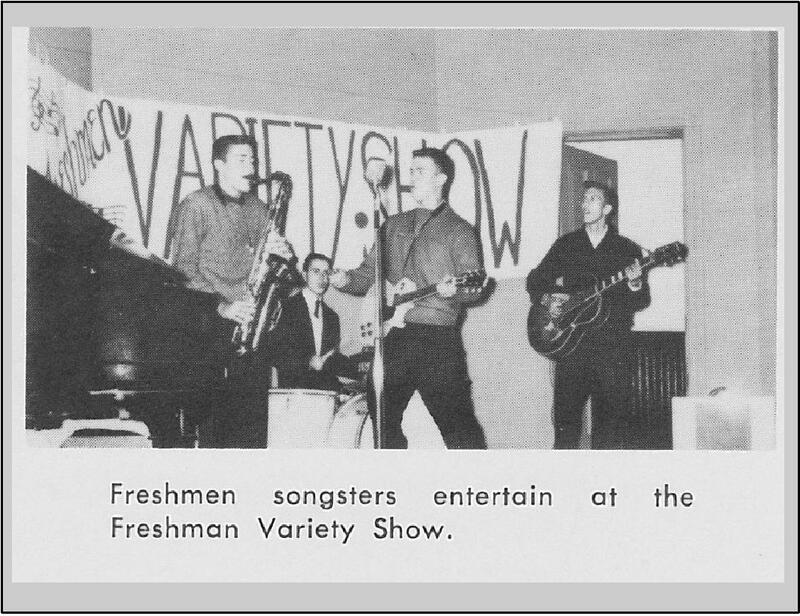 1957: Bob Ruth leads a change in the band’s music… to rock’n’roll. Bob Ruth plays a Jerry Lee Lewis song for Bob Elster who is very impressed. The two decide to inform the other band members that the band will be changing musical styles to rock’n’roll. The band decides to make the switch to rock’n’roll music and begin playing songs by Jerry Lee Lewis, Fats Domino, Bo Diddley, and Elvis. Some songs from the “old” playlist are still played, including “Red Sails in the Sunset.” On most of the songs Bob Elster plays the vocal part on the tenor saxophone. Fall, 1957: Judd Sheridan, a senior at North High School, joins the band. The new lineup is: Judd Sheridan on guitar and lead vocals; Bob Ruth on piano; Bob Elster on tenor saxophone; Doug Fredin on baritone saxophone; Gary Hand on string bass; and George Seibert on drums. 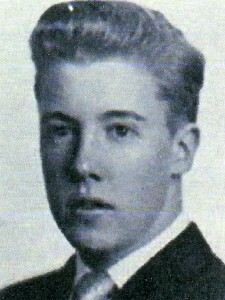 Judd Sheridan is a senior in high school. 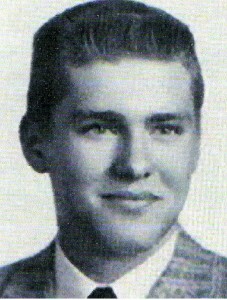 The other band members are now juniors at Robbinsdale High School. The band plays at the Crystal Coliseum, one of the very first venues in the twin cities to feature live rock’n’roll bands. 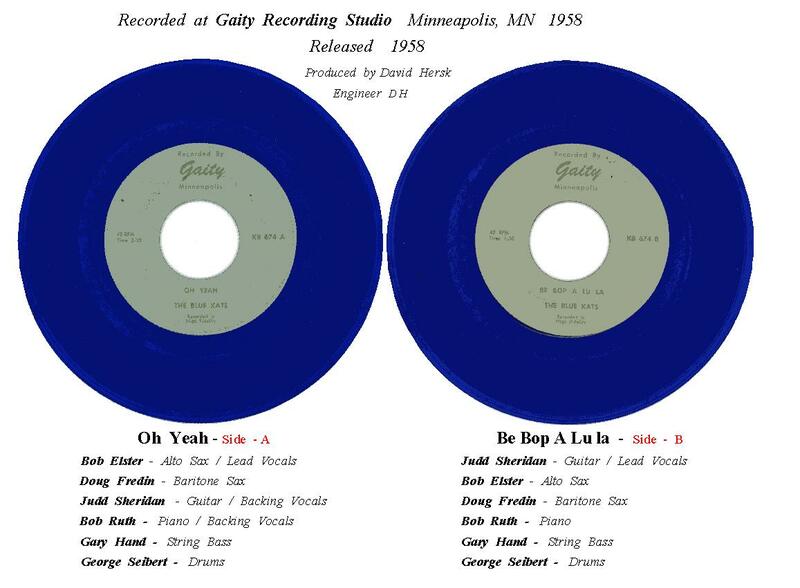 Early, 1958: The band records two songs with David Hersk in his home recording studio in the basement of the family home in North Minneapolis: “Oh Yeah” (written by Bob Elster and Bob Ruth) and “Be Bop A Lu La” (Gene Vincent and the Blue Caps). A 45 of the two songs is released on Gaity Records, the first official release on the small independent label run by David Hersk. 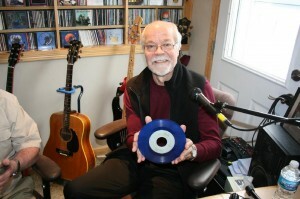 Prior to the Blue Kats, David would press up discs one at a time. 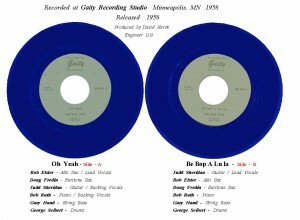 The songs are mastered at Kay Bay Studio in Minneapolis and pressed at the Kay Bank plant on blue vinyl. The record labels are gray with black lettering. Side A is listed as KB 674 and the flipside is labeled KB 674 B. On the A-Side (“Oh Yeah”) are: Bob Elster on lead vocals and tenor saxophone; Doug Fredin on baritone saxophone; Judd Sheridan on guitar and backing vocals; Bob Ruth on piano and backing vocals; Gary Hand on string bass; and George Seibert on drums. On the B-Side (“Be Bop A Lu La”) are: Judd Sheridan on lead vocals and guitar; Bob Ruth on piano; Bob Elster on tenor saxophone; Doug Fredin on baritone saxophone; Gary Hand on string bass; and George Seibert on drums. A few months after the Gaity 45 is released, the band has a change in band members and switch band names from The Blue Kats to The Sonics. The lineup is: Judd Sheridan on guitar and lead vocals; Bob Ruth on piano; Bob Elster on tenor saxophone; Doug Fredin on baritone saxophone; and Forrest (“Punky”) Cole on drums. Spring, 1968: The band plays at the Drake Hotel in downtown Minneapolis for a senior commencement party. The Sonics return to the basement studio run by David Hersk to record another 45 for Gaity Records. 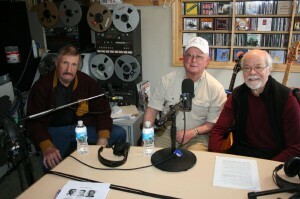 Both songs are originals, written by Bob Ruth and Judd Sheridan. On the A-Side (“Marlene”) are: Judd Sheridan on guitar and lead vocals; Bob Ruth on piano; Bob Elster on tenor saxophone; Doug Fredin on baritone saxophone; and Forrest Cole on drums. 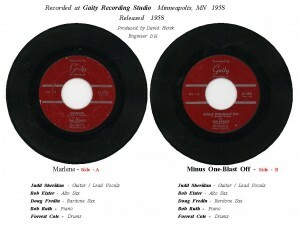 On the B-Side (“Minus One – Blast Off”) are: Judd Sheridan on guitar and lead vocals; Ruth on piano; Bob Elster on tenor saxophone; Doug Fredin on baritone saxophone; and Forrest Cole on drums. David Hersk has the record mastered and pressed on polystyrene at Shelly Products in Huntington Station, New York. 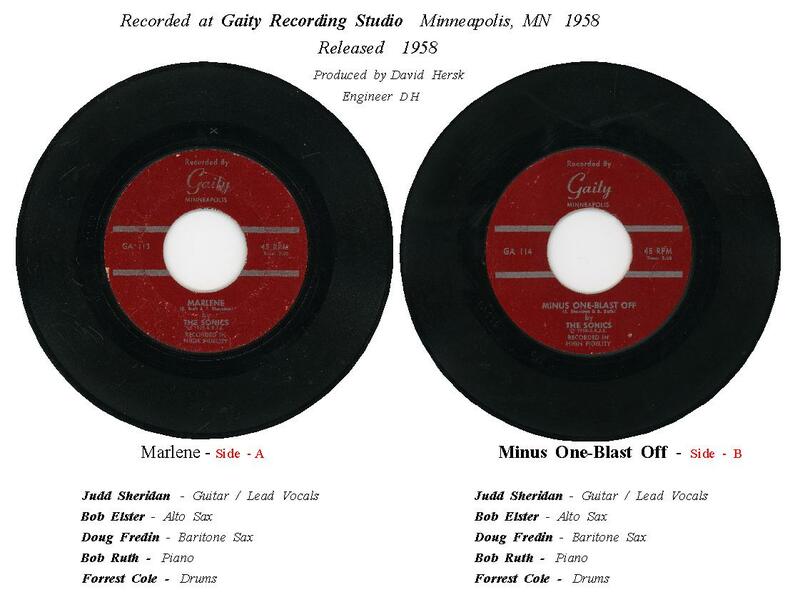 Gaity 113/114 has a maroon record label with silver printing. 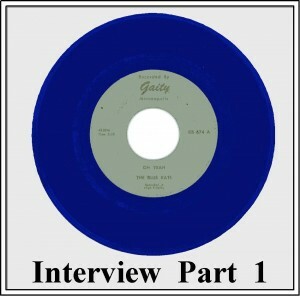 This is the third 45 released on Gaity (The Glenrays were number two). 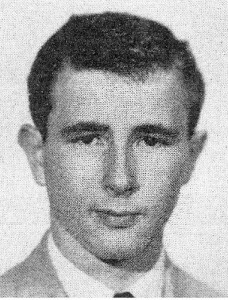 August/Early September, 1958: David Hersk makes a connection with Aladdin Records located in California. Aladdin takes an interest in The Sonic’s 45 and sends a producer to Minneapolis to oversee a re-recording of “Marlene” (and possibly “Minus One Blast Off” or another song), this time at Kay Bank Recording. The producer wants a rhythm guitar player to play on the recording so Bob Elster locates Jim Bender from St. Louis Park High (class of 1959) to join the band for the recording session. The producer (name unknown) takes the finished tape back to California, however Aladdin Records never releases the recording. Aladdin Records is eventually bought out by another record company. Jim Bender continues to play with the band after the recording session. 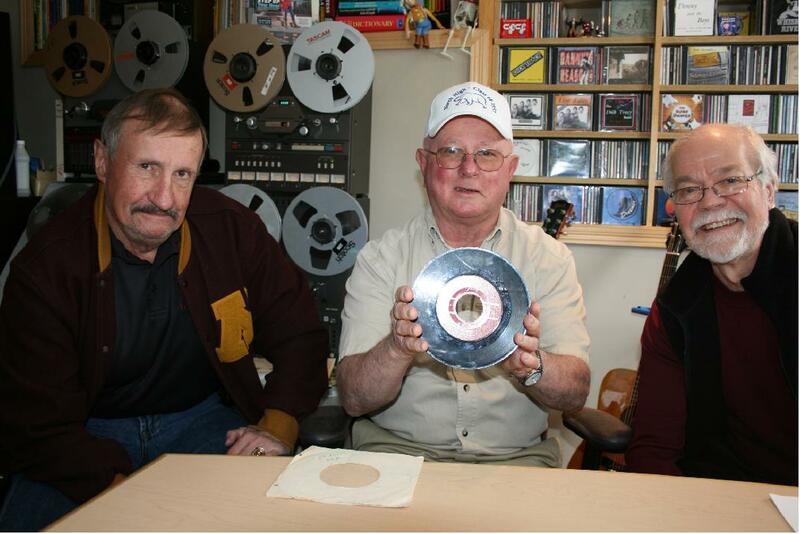 David Hersk gets a copy of the 45 to Dan Daniel, a DJ at WDGY radio and he plays “Marlene” from the downtown Minneapolis studio location of WDGY. 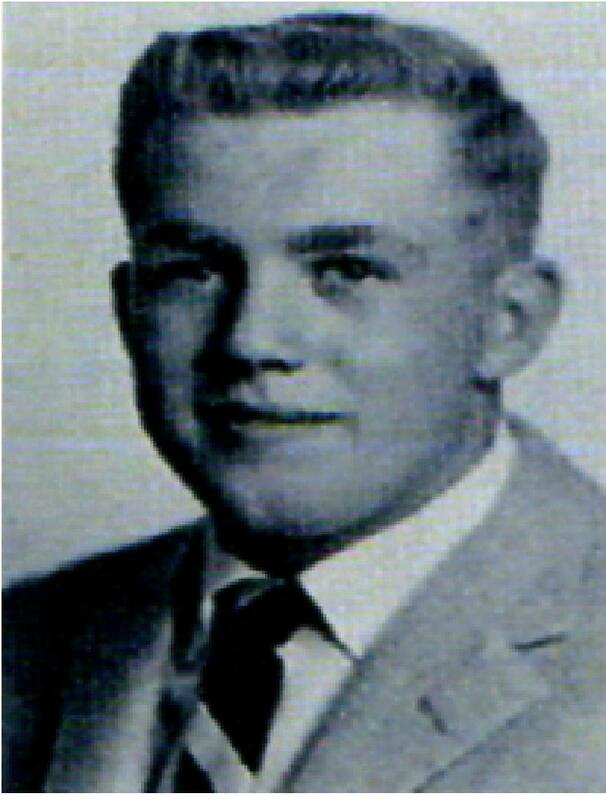 Fall, 1958: Judd Sheridan enters his first year of college at Hamline University in St. Paul. The Sonics play for a Freshmen Variety Show on the campus and a photograph of the band playing at the event is included in the Hamline University yearbook. The photo shows only part of the band, from left to right: Bob Elster on tenor sax; Forrest Cole on drums; Judd Sheridan on guitar and Jim Bender on rhythm guitar. Bob Ruth (on piano) and Doug Fredin (baritone sax) are both playing with the band but are outside of the picture frame. The band plays at a fraternity party (Sigma Chi) on the University of Minnesota campus. 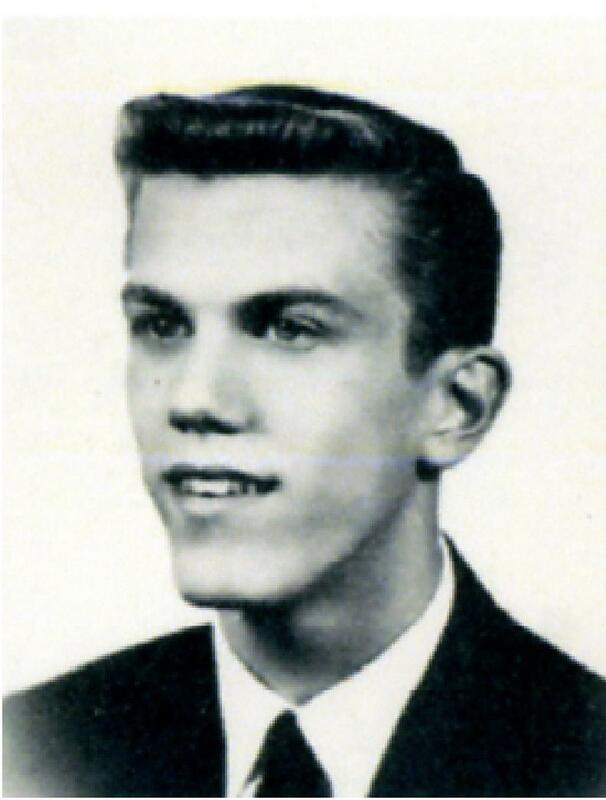 Summer, 1959: Jim Bender leaves the band. The band has a name change to Cole and the Embers. Jerry Cole, younger brother of Forrest (“Punky”) Cole, fills in on jobs when Forrest is not available. On a number of occasions, the band performs with both Jerry and Forrest drumming on two separate drum kits. 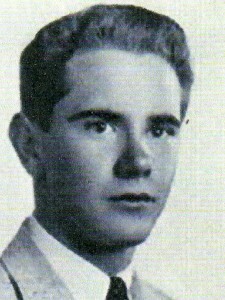 Fall, 1959: Judd Sheridan leaves the group and the other band members carry on. 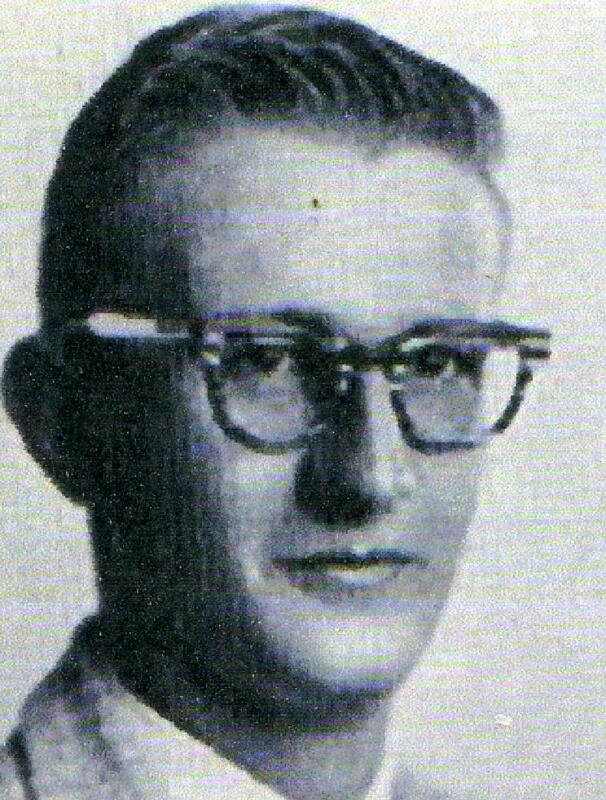 1960: Bob Elster leaves the group. 1961: Cole and the Embers come to an end. Staring in the 1990’s the songs from the two 45’s (Blue Kats and Sonics) have been included on numerous bootleg albums from the United States and from Europe and both of the 45’s have been reproduced and sell on the internet. It is very easy to spot the reproductions on the internet due to the large difference in prices compared to the original 45 records. 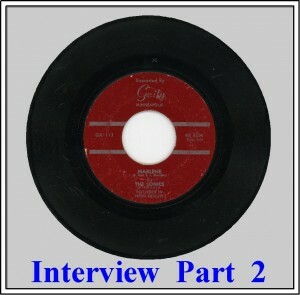 In addition, the records are played on the radio in Europe. In April, 2013, Bob Elster reported that he wrote the words to “Oh Yeah” by The Blue Kats and Bob Ruth wrote the music for the song but was not credited on the record. In April, 2013, the band members reported that there is no tape or acetate from the recording session for Aladdin Records that took place at Kay Bank Recording in 1958. Kim Lenz and the Jaguars: “Minus One – Blast Off” was included on an album recorded in 1997 called “Shake A Leg.” The group is from Austin,Texas. The 4 Slicks: “Minus One – Blast Off” was an included on a self titled album in 2012. The group is from France. The Ryans: The band is from Sweden and are shown on an internet video performing “Marlene” live at a club in 2011. Jaanika Pelvar (Rockin’ Lady and her River Town Boys) are shown on an internet video performing “Minus One – Blast Off.” The group is from Estonia. On June 9, 2013, Bob Elster was back in Minnesota for a visit and a reunion was held with band members Bob Elster, Doug Fredin, Forrest Cole, Judd Sheridan. 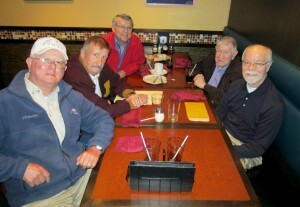 The group was joined by David Hersk from Gaity Records. Bob Elster: Living in California, no longer active in music. Doug (“Buzz”) Fredin: Living in Minnesota, no longer active in music. Judd Sheridan: Living in Minnesota, plays guitar and sings (folk music). Bob Ruth: Passed away at age 62 on January 16, 2004, was living in Chicago. Gary Hand: Living in Minnesota, no longer active in music. Forrest (“Punky”) Cole: Living in Minnesota, jobbing with bands. Jerry Cole: Passed away at age 68 on January 8, 2011. 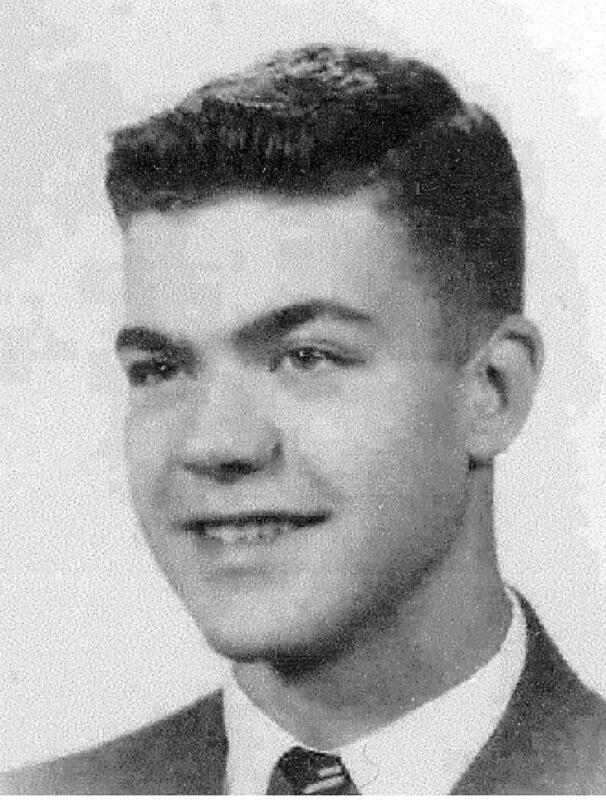 Jim Bender: Passed away (no date of death available).